Interview with Kyle Ellicott, Chief Labs Officer and Co-Founder of Wearable IoT World, world’s first accelerator focused on the Internet of Things and Wearable IoT Lab. Startups can apply to their accelerator program by May 1, 2016. Founded in May 2013, Wearable IoT World (WIoTW) is based in San Francisco where we pioneered the world’s first accelerator focused on the Internet of Things (IoT), Wearables, and emerging technologies. Wearable IoT World also functioned as an innovation hub that later expanded our services to include customized accelerator and advisory programs that develop start-up innovation and culture within a corporate environment. We envision to become an imperative leader and behind the driving force in IoT innovation for brands, businesses, government and bright minds. Our business model uniquely blends the best of venture acceleration, entrepreneurial mentorship, corporate strategic partnerships, and media into one thriving community. If you are focused on IoT and wearables, we’re the place to be. We provide startup entrepreneurs with a structured accelerator program and on-going support through a company’s lifecycle. Since the launch of the accelerator, we have worked with 92 companies, represented 15 countries around the world, helped them raise over US$95M in venture capital, taken 11 companies through crowdfunding – all 11 have been successful. And we have had a 90% funding rate, class over class. This means 90% of the class going through our 15-week accelerator program receive some sort of funding before they hit the end of the program, which is Demo Day. This is something we are very proud of. As that all began, we also acquired a media company, ReadWrite with a reach of 5+ million. 2. In simple terms, what is IoT? First of all, IoT is transforming the world, it’s not just another trend. IoT is simply the concept of basically correlating any device with an accompanying on and off switch to the Internet. According to McKinsey, the IoT market is projected to be a US$11.1 trillion marketplace by 2025. I work closely with Redg Snodgrass, chief executive and co-founder of Wearable IoT World. Since the launch of Wearable IoT World, we’ve supported more than 80 startups through Wearable IoT World Labs and hosted three conferences in the wearables and IoT space. Prior to launching Wearable IoT World, Redg was head of innovation at Alcatel‐Lucent Bell Labs where he created the first open API service across multiple global carriers. He also went on to found Taploid, a startup leveraging Facebook’s Open Graph, and Skout, a social mobile dating application that reached 2.5 million users. Neil Vineberg, is the global managing director of Wearable IoT World. He is a seasoned technology executive who has guided the success of dozens of startups and enterprise companies. His experience spans IoT, emerging technology, and media. He was involved in the evolution of digital music, digital photo communities, Internet telephony, microblogging, and interactive media. Previously, Neil served as a senior advisor at Gigaom, as chief marketing officer at ThingLink.com, and in senior positions at Golin/Harris and Middleberg Euro. In his spare time, Neil moonlights as an award‐winning guitarist and recording artist. In Hong Kong, we have Francis Ng, Managing Director, Asia Pacific of Wearable IoT World. He has 20 years of R&D experience and a rich background in software engineering and business development. He had worked for Motorola in China, where he helped pioneer cellular phone research and managed Motorola’s Asia regional businesses. From engineering he expanded into product management, Internet, startups, and consulting, helping several companies launch in the Chinese market. In addition, we also work with many senior advisors who each have their areas of expertise, Randy Haykin, Andreas Weigend, Yobie Benjamin, Robert Scoble, Peter Hirshberg, Andy Grignon, to name a few. I’m originally from Michigan, and I have been a lifelong entrepreneur. My great grandfather, grandfather, and father were all entrepreneurs, and through that I’ve always been inspired and always had a stride to start working. I started my first business building computers for clients at the age of 15 and subsequently worked my way through college in a variety of IT roles, including networking, security, and forensics. And from there my passion for innovation led to the founding of several startups, including a media company and prominent digital agency. When I moved to California I started working with the community, and from that I’ve helped the community grow, develop, built businesses, and learned hard lessons – so that I was able to advise and give back to the up and coming startups. My role in the wearables and IoT communities led to co-founding of Wearable IoT World and laying the foundation for Wearable IoT World Labs which is the world’s first accelerator/incubator blend solely focused on wearables, IoT, and emerging technologies. 5. Tell us about your expansion to Hong Kong. How will it be different from the San Fran location? WIoTW sees great potential in Hong Kong for startups entering the Asian marketplace and we are really excited to extend our expertise from the U.S. to this region. Hong Kong is an ideal place for the accelerator and the city can really play a big role as an epicentre in Asia. 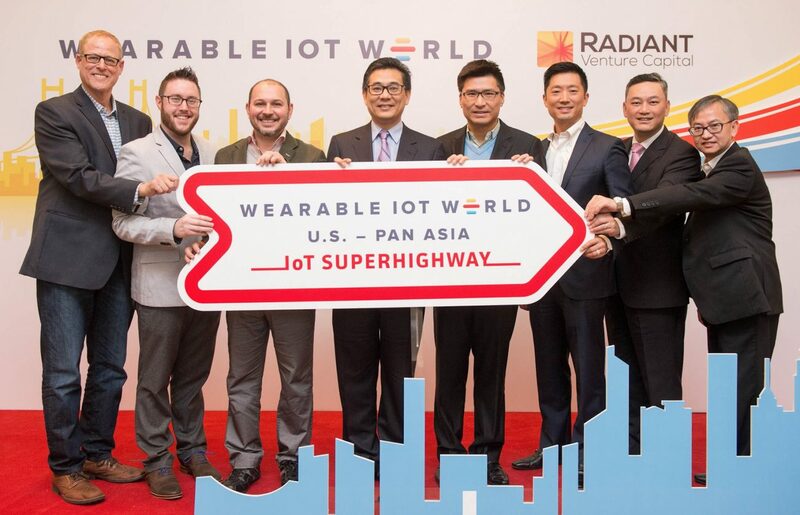 The launch of the U.S.-Pan Asia Superhighway accelerator will focus on driving IoT innovation and entrepreneurship in Hong Kong and Asia while pushing forward IoT development globally. 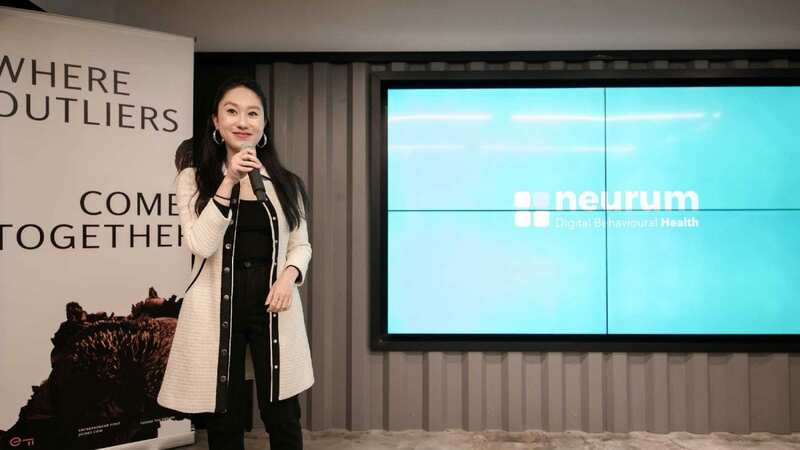 We’ve seen the true dedication of business that exists here as well as an expansion of an ecosystem here in Hong Kong where startups can build relationships with those in the community, such as the media, investors, and other entrepreneurs. We also look forward to working with local programs because at the end of the day it’s about the community and the entrepreneurs – making them successful makes Hong Kong successful. The superhighway goes both ways, everything will be shared back and forth. We will be bringing mentors from San Francisco to Hong Kong, and vice versa. We are also very fortunate to able to align ourselves with great partners here in Hong Kong, such as Radiant Venture Capital, a venture capital focuses on investing in and supporting top-tier technology startups, and Hong Kong Cyberport Management Company Limited (Cyberport), the official partner of this initiative where it will house WIoTW’s executive office and WIoTW Hong Kong Labs accelerator. There are different needs in Hong Kong and San Francisco. Asia is unique because there are many diverse cultures and large market opportunities for anyone starting a company here. 6. How will you split your time? I am on the ground in Hong Kong starting in April 2016, where I will be closely involved in the opening of the U.S.-Pan Asia IoT Superhighway accelerator. Although I am not permanently based in Hong Kong, Francis Ng, Managing Director, Asia Pacific of Wearable IoT World is based here overseeing the region. Redg Snodgrass, CEO and co-founder, and global managing director Mr. S. Neil Vineberg are also regularly in Hong Kong throughout the year. At the same time, there will be a lot of interaction between U.S. and Asia. Hong Kong will be our first overseas accelerator. Although we look for a lot of locally based companies, it is a global opportunity. The idea of the superhighway is to share resources across and between all locations no matter where a startup is located. As we provide that to entrepreneurs in both regions, our team of mentors and advisors will also be travelling back and forth to give guidance and support to those in the accelerator. 7. What are your favorite IoT projects? This is a hard one, because there are just too many! In terms of products that will really change our lives, I would have to name OSVehicle, an Open Source Vehicle project – which is actually based in Hong Kong, as one of those products. OSVehicle is a solution for eco-friendly mobility and is perfect for Smart Cities. The team is very focused on the idea of democratizing mobility in ways we haven’t seen since Henry Ford created the assembly line. In today’s world we want and need things to be more efficient, especially our vehicles; something we spend so much time in. The open source model will allow people to contribute their designs for potential full-scale production, which will lead to new innovations and technology in vehicles that have only been dreamt of to date. This includes giving vehicles the technology to communicate with one another and empowering drivers with valuable real time information on the road like never before. With new technologies like OSVehicle, CarFit (another Hong Kong startup) and many others, we’re able to have new seamless integrations of key technologies that impact our routines in such a positive and meaningful way. This quickly begins to change how we look at certain industries (automotive, agriculture, hospitality, etc.) and the way we expect to interact with them. We have an exciting future ahead of us. Another product, TZOA, is an environmental tracker that was named as one of Time Magazine’s and Popular Science’s Best Innovations of 2015. What Kevin Hart, the Founder and his team have created is very exciting and has the potential to help a lot of people around the world. Their device can actually detect the particular matter floating around in the air and tell you in real-time what it is along with the quality of the air; that’s just one feature. For example, say you have asthma, and now you place one of these devices in your home, office, or even on you (as a wearable) it will instantly have a positive effect on your quality of life. You’ll know the moment you enter an area that could be filled with pollen and instead are able to avoid it. Again, another example of seamless integration of technology into our lives. 8. What are some startups that are participating/or have participated in your accelerator? TZOA (Spring ’15) is an intelligent environmental platform that provides alerts and solutions to consumers before their health & wellness is put in jeopardy. Check out their Indiegogo Video below. Kontakt.io (Spring ‘15) platform puts the real world in contact with the Internet of Things by connecting devices with proximity awareness to the cloud. Kontakt.io goes beyond beacons to do this, and has a full suite of innovative technology, starting with bluetooth low energy beacons and moving on with a variety of other hardware and software technologies, and we make it simple for any business or serious hobbyist to create the Bluetooth application or business of their dreams. The Grush (Winter ’14) allows kids to visualize their tooth brushing by using advanced human machine interface technology. It consists of the Grush tooth brush, Grush Compatible Android/iOS games and apps, and the Grush Cloud. The brushing process is transformed into a game by using the motion input from the brush. Brushing data is stored for analysis and mentoring by parents and dentists. Currently competing on the television show, America Great Markers with TBS and Intel for the chance to win $1 million. CreoPop (Summer ‘14) is the world’s first 3D printing pen with cool ink, and the first 3D printing ink that doesn’t use heat. 9. What are three things you want the Hong Kong community to know about Wearable IoT? First of all, IoT is projected to be a US$11.1 trillion marketplace by 2025; effecting every industry. Hong Kong is perfectly situated to set and lead standards within the IoT industry. There is capital, infrastructure, talent all here and premier manufacturing just around the corner. The city itself is also an innovation hub and the premier gateway to Mainland China. IoT is life changing and opening unprecedented opportunities for everyone. It will eventually become an everyday necessity – not an option. There is so much potential in wearables and IoT here – take advantage of the opportunities and be part of this expanding ecosystem. 10. For someone unfamiliar with IoT, what’s the learning curve to get into this space? That’s such a great question. IoT is unique as it touches so many industries that the true learning curve is understanding how our new connected world will affect your business and customers. We’re now entering a world where everything is connected. People will understand how foods truly affect them, which will change buying habits; our cities will talk to us and learn from us; and we’ll see data like we’ve never seen before. Listen and learn from the data collected. Provide your users with actionable data (i.e. today you burned 1,000 calories, eat this for lunch). For those looking to build a startup in IoT, start with building relationships with those who have industry experience and get involved in the community (attend events, happy hours, etc.). Don’t hesitate to reach out to people and ask what they are building or working on. There may be a chance you can work together or even partner. Lastly, seek out mentors who can help provide insight and guidance and never be afraid to ask questions. Our most successful leaders in the world have surrounded themselves with more intelligent people than themselves. 11. How do you use crowdfunding in your projects? Crowdfunding today is a lot different than it used to be. Today startups are using crowdfunding as an opportunity to test the market for their products and get product into the hands of their potential customers. It’s one of many ways to show traction and early sales for a new product. Crowdfunding also helps startup learn new things about their products including where new customers are, how people feel about their product, etc. However, at the end of the day you still have to make sure you deliver the product. 12. What about Intellectual Property? Intellectual property is a big thing in IoT. With so many great products being created, you really want to take the time to protect your work. Consult with your lawyers on the best practice and filled the necessary paperwork to avoid any future headaches or legal battles. 13. What’s the IoT space like in San Francisco? IoT is flourishing in San Francisco, but also in many cities around the world. Each city has a different initiative for IoT based on their needs. We partnered with the City of San Francisco to help make it the most connected city in the world. A lot of entrepreneurs are focused on building products that will drive the industry forward along with looking at how to process (i.e. machine to machine learning) and understand all the data we create. Because the city sits at the center of innovation, we have this sandbox like environment where people can test and build their products live in real-time while learning from their customers. It’s a truly unique experience, one we’re looking to recreate here in Hong Kong.